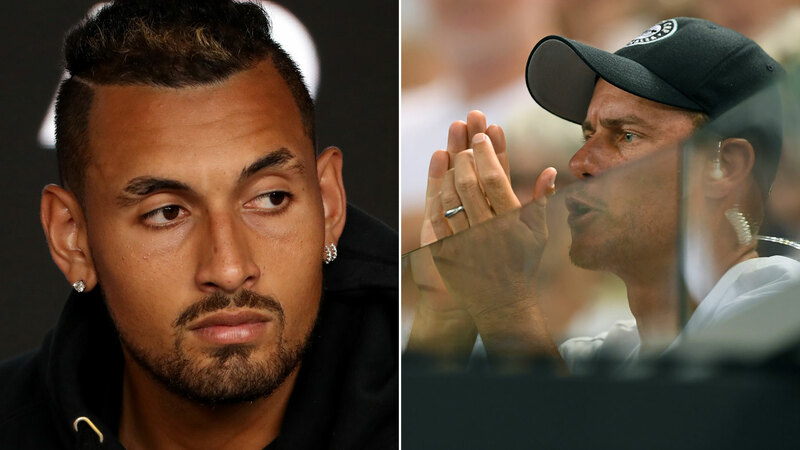 It is deeply unfortunate but in the digital news age, that disgraceful utterance from Nick Kyrgios exploded into one of the biggest stories we’ve seen in tennis. Kyrgios’ seedy sledge (caught by a court microphone) was directed at Stan Wawrinka during August 2015, as he played the Swiss star at the Rogers Cup in Montreal. It referred to fellow Australian star Thanasi Kokkinakis and Croatian player Donna Vekic, who had played mixed doubles with Kokkinakis and later dated Wawrinka. Kyrgios also said, “He’s banging a 19-year-old”, during the match; later claiming that he thought Wawrinka was being “lippy” with him and he felt the need to return fire. Kyrgios’ mother, Nill, later revealed that her son held a grudge against Wawrinka after the Swiss accused him of faking an injury during their previous match. Wawrinka and Vekic were rightly outraged, as was the Swiss’ coach, Magnus Norman. Kyrgios was sanctioned – he was fined $13,580 and given a suspended one-month ban - and apologised. While Kyrgios has engaged in another round of jaw-dropping antics this week during the Australian Open, taking his cue from fellow problem child Bernard Tomic in attacking Davis Cup captain Lleyton Hewitt, Wawrinka and Vekic have been quietly going about their business. Vekic entered the tournament ranked No.29 in the world, a career best. She lost in a second round upset to Aussie wildcard Kimberly Birrell, but still pocketed $105,000 for her efforts, adding to her career prizemoney of $3.6 million by age 22. Courtside as Vekic played Birrell was Wawrinka. Despite the Kyrgios furore early in their relationship, the pair remain one of tennis’ glamour couples. Vekic has improved her world ranking every year since the Kyrgios blow-up; from No.105 at the end of 2015 to No.34 at the end of last year. She had one WTA tournament win before the Montreal incident (2014 Malaysian Open) and added another one after, at Nottingham in 2017. She also had her best Grand Slam result last year, making the final 16 at Wimbledon, and made another WTA final (in a total of six) at the Washington Open. In contrast to Kyrgios, her career is on the rise, though it remains to be seen if she is a potential Slam-winning talent. She has named Wimbledon as her dream Slam to win. Wawrinka, of course, has already proven that he’s of that calibre. He’s something of a curiosity in men’s tennis: he’s won as many Slams as Andy Murray (three), but has never been elevated to the ‘Big’ club alongside Murray, Roger Federer, Rafael Nadal and Novak Djokovic. The Swiss right-hander was playing Milos Raonic in the second round at Melbourne Park on Thursday, having entered the tournament as a dangerous floater ranked No.59, thanks to injuries last year. But at age 33, he’s built a tremendous career. Wawrinka has won three of the four Slams: the Australian Open (2014), French Open (2015) and US Open (2016). He has also won $44.3 million in career prizemoney and reached a highest ranking of No.3 in the world. 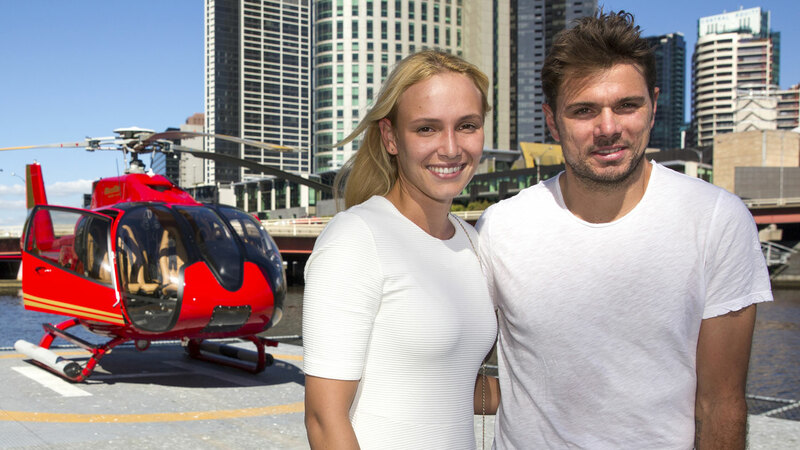 The Grand Slam events afford Wawrinka and Vekic an opportunity to support each other’s careers first-hand, as the Swiss star did at Melbourne Park on Wednesday. Vekic spoke last year about the difficulty of life on the road. "It's not easy, obviously,” she told Blick. “But at the end, I have my job and he has his. This is our life. We love what we do and we support each other, even when we are not together. I think we can do well." They are a long way removed from the Kyrgios incident – and the Australian has enjoyed some success afterwards too. He hit a career-high ranking of No.13 in October the following year, claiming three titles in 2016 (Tokyo, Atlanta, Marseille). He also won the 2018 Brisbane International. He was confronted by Wawrinka after dropping his sledge about Vekic in Montreal, with Kyrgios’ brother – Christos – claiming that the Swiss was physical and abusive when he met the Aussie in the locker room. "He put his hands on Nick - grabbed him and said a whole bunch of abusive s---,” Christos wrote in a deleted Facebook post. “I've studied law and that s--- is abuse bro. Lucky we aren't pressing charges. "The p---k is lucky I wasn't there or he would have been withdrawing from the next few tournaments." Christos also worsened the disrespect of Vekic, telling Triple M radio: "Donna obviously loved the Kokk" – using Kokkinakis’ bawdy nickname in an crude allusion. Wawrinka spoke out angrily about the sledging incident afterwards, while Kyrgios was also denounced by the likes of Federer and Djokovic. "There are things, regardless of how you are, regardless of the stress you have on the court, there are things you just can't say," Wawrinka said. "And regardless of whether he sidesteps it, I think the way he behaves on court he has big problems. "Every match he has problems. Every match he behaves very badly. "On top of that the problem is that he doesn't just behave badly towards himself he behaves badly toward the people around, the other players, the ball kids, the umpires. I really hope the ATP will take major action against him this time." Vekic spoke out shortly after, saying she hoped Kyrgios had learned from the incident. "It's not easy but I'm trying to focus on tennis and my next match," she told The Province newspaper in Canada. "I haven't spoken to Kyrgios. But it's a very disappointing thing to be happening in our sport and I hope it won't happen again because it's not a very good image for our sport." Kokkinakis, too, was not impressed. “He apologised to me," he said. "I let him know, I made it pretty clear that he can’t be doing that. “If he’s got a problem, he’s got to say it in private. The way he went about it definitely wasn’t the right thing." Kyrgios has done nothing so repugnant since, and surely never will. He remains a divisive character, at once charismatic and moody, generous to charitable causes and adored by his mates, yet loathed by as many Aussie tennis fans as love him. His tempestuous behaviour continues to overshadow his tennis, with the his shot at Hewitt in the wake of Tomic’s explosive Davis Cup claims the latest example. As tennis legend John McEnroe said on Thursday, there is serious concern about Kyrgios ever fulfilling his potential, due to his attitude to the game and all that comes with it.